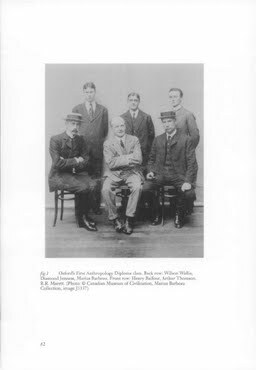 Some of Canada's early twentieth-century museum-based anthropologists promoted vitalist notions in their new social science discipline, attempting to "humanize" the rigours of working within an emerging field modeled on the natural sciences. In the case of Marius Barbeau (1883–1969), vitalism seems to have significantly facilitated his collaborations with various Canadian modernist artists. Not only did Barbeau understand and valorize their work in vitalist terms, but the artists themselves seem to have been in accord, to some extent, with a variety of vitalist concepts about matter, memory and re-presentation. Slaney, F.M. (2010). Vitalism in Canada's Anthropology and Art. Journal of Canadian Art History, XXXI:(1).